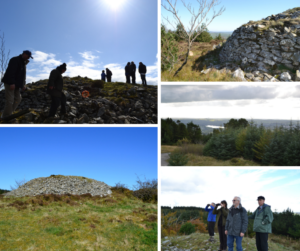 Situated on the border with County Armagh, the impressive Mullyash Cairn is a megalithic tomb with a rich cultural heritage of Lughnasa traditions. It is protected and in state guardianship as a national monument. With impressive views across the landscape, thousands of years ago the builders of this monument chose their site with prominence in mind. In this podcast, we hear from local people about the importance of the site and their efforts to protect and celebrate it, and from the Clogher Historical Society who have been supporting their efforts.